Lyle Blackburn is an author, musician and cryptozoologist from Texas. He has been on TV shows such as, ‘Monsters and Mysteries in America’ and ‘Finding Bigfoot’…and you may have his previous books, ‘The Beast of Boggy Creek‘ and ‘Lizard Man: The True Story of Bishopville Monster.’ On this episode of iNTO THE FRAY, we check in again with what Bigfoot has been up to. 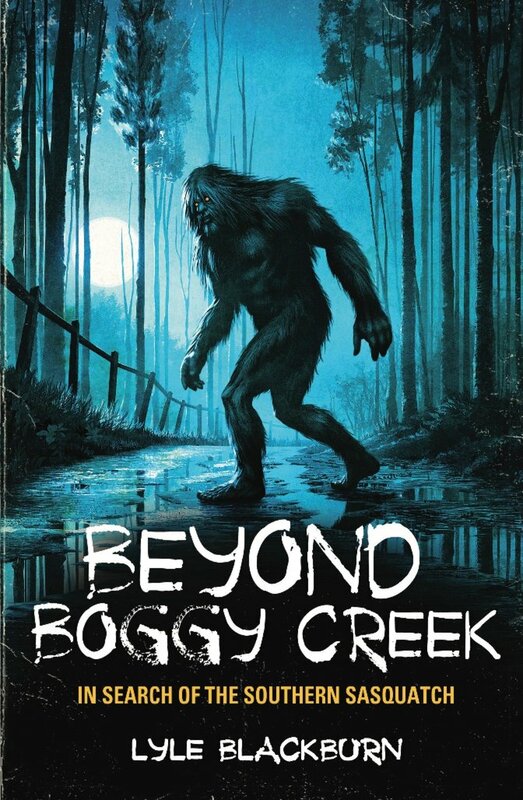 ‘Beyond Boggy Creek‘ is his newest book which covers 10 states in the continental US, and it’s Bigfoot sightings. We cover very recent and past sightings from as far back as 1829, highly aggressive Bigfoot encounters, a 911 call about a beast consuming a deer, a man encountering a female creature just outside his camper within 20ft….and more! Find Lyle Blackburn on Facebook, Twitter, Instagram and his website. Lyle’s investigative cryptozoology books, such as ‘The Beast of Boggy Creek’ and ‘Lizard Man’, reflect his life-long fascination with legends and sighting reports of real-life ‘monsters.’ During his research, Lyle has often explored the remote reaches of the southern U.S. in search of shadowy creatures said to inhabit the dense backwoods and swamplands of these areas. Lyle is also a staff writer for the monthly horror magazine, Rue Morgue, and founder of the rock band Ghoultown. Become an iNSIDER! For starters…there will be extra episodes every month, live video chats, and audio/video from on-site investigations and interviews, behind-the-scenes and outtakes, a secret iNSIDERS only Facebook group, and giveaways monthly of books, soon to come/exclusive merchandise and other goodies. This is only the beginning of what I want to offer, and am looking for your input! A couple different options lets you decide what’s best…4.99/month or 54/year, will give you full access as an iNSIDER. Click HERE to sign up! Subscribe to iNTO THE FRAY in iTunes, Stitcher, iHeartRadio and most ALL other podcatchers. If you enjoy the show, please take a moment to rate and review, as it helps others find us. Mister-Sam Shearon’s Creepy Christmas (A Merry Macabre Coloring Book) Purchase HERE! This was a great presentation and I’m a first time listener. I’m now a fan. You have a great future ahead. Best of everything to you, Shannon.